Forest Hill Golf and Country Club is undoubtedly a soothing experience of visual diversity. Lush green vegetation, open blue skyline and elevated plateaus with a palette of colour contrasts of fairways and majestic architecture make it an idyllic locale. The sound of the birds and refreshing perfume of ample flora alongside splendid lakes and 9-hole championship golf course is a captivating spot for travelers looking for more than just a weekend getaway. World-class cuisine and impeccable hospitality combines to create Forest Hill Golf and Country Club the most magnificent luxury retreats in the region. The restaurants promise you a fascinating culinary discovery. The FHR Pub features live music on selected days. 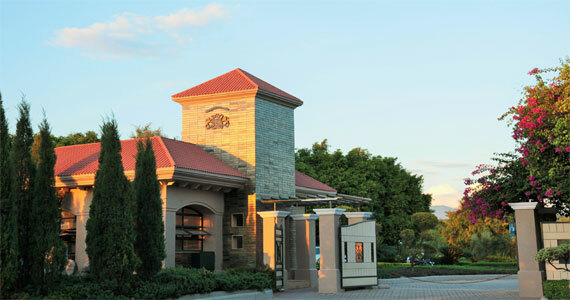 The Heritage Golf and Spa Resort is a picture-perfect place to host weddings, exhibitions and corporate events. You may test your golfing skills or relax at the health club; your visit to this charming club will ensure you as a highly treasured visitor. Come and discover the hidden gem and all that it has to offer! Nestled in village Karoran, this magnificent resort combines the stunning countryside setting with the sweeping views of the green forest. Strategically located just off the city center, Forest Hill Golf and Country Club is a short ride from the City Beautiful, Chandigarh Airport and the region’s exciting arcades. The locale is appropriate for business guests, seasoned leisure travelers and those who wish to have a memorable golf experience. The breathtaking view and the magnificent layout makes a thrilling golfing experience. Assured of an evergreen backdrop and fresh ambience, the place is a true definition of secluded luxury. Latin American Club House is exactly what it ought to be, a perfect legendary architecture coupled with all the modern amenities. The Club House has elegant dining rooms, bedecked with huge lithographs displaying the history of golf over the early years.